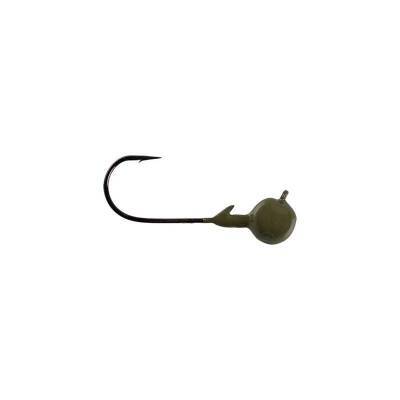 Strike King Tour Grade Shakey Head Jig - 1/8oz Green Pumpkin. 60 degree flat eye Gamakatsu hook to hold knots in perfect place for better hook sets. Hook eye is flush with the head to be more streamlined and efficient in heavy cover. Shakey head has a special barb that helps baits stand up better and hold perfectly in place. Assorted colors available.